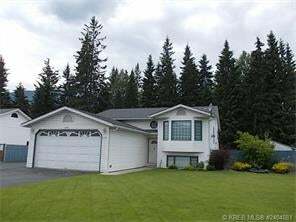 Lovely 3+2 bedroom, 3 bthrm family home in popular Riverglen subdivision close to all amenities. Large very private fenced yard, underground sprinklers front and back, paved driveway with extra RV pad. Dbl car garage attached, 2 propane fireplaces, large deck off kitchen, outside entrance from basement. Comes equipped with all appliances, built-in central vac. An excellent choice for the growing family!